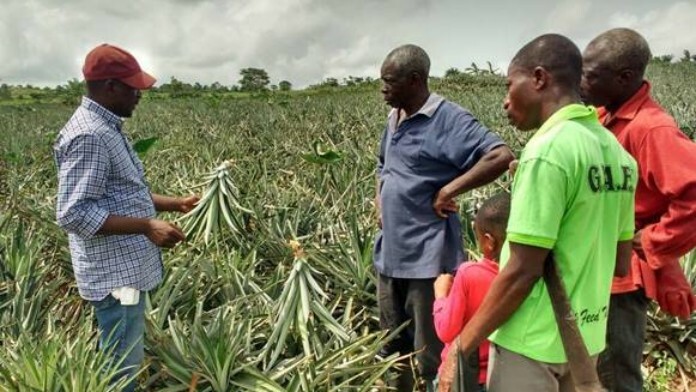 DEG is promoting sustainable organic farming and processing of tropical fruits in Ghana and Ivory Coast. More than 1,200 farmers and their families will benefit from the initiative. Whether it’s to go in muesli, for baking or as a snack between meals, European demand for high-quality organic dried fruit is rising steadily. In recent years, the two West African nations of Ghana and Ivory Coast have developed into important producers of tropical dried fruits such as mango, pineapple and coconut. However, local smallholders and smaller farms often face considerable challenges. Insufficiently developed infrastructure, in particular, as well as a lack of expertise hinder the production and subsequent processing of the fruit. DEG is now supporting an initiative by the Swiss company HPW AG aimed at promoting sustainable organic farming and processing of tropical fruit and at improving competitiveness in the global market. DEG is co-financing the investment with around EUR 2 million from funds from the develoPPP.de programme of the Federal Ministry for Economic Cooperation and Development (BMZ), while HPW will invest a further EUR 2 million. HPW AG distributes fresh fruit and vegetables as well as dried fruit from various African and Asian countries to wholesalers and retailers in Switzerland and Germany. HPW buys fruit and vegetables directly from smallholder producers and relies on processing and refinement of the products on site. This includes the Ivory Coast, where with support from DEG, HPW is building a drying plant for fruit at the premises of its local partner, Djigui Sarl, with a capacity of 2,400 tonnes per year. In addition, HPW offers a broad training programme for Ivorian farmers in organic agriculture and assists them in setting up production cooperatives. HPW also supports smallholders in organic farming in Ghana. In order to optimise mango crops, different varieties of mango are cultivated and evaluated, and distributed to farmers as seedlings. In both countries the company also advises farmers on diversifying their fruit production. This enables smallholders to tap new income opportunities, and in doing so, to become more independent of climatic events. The investment will create 150 seasonal jobs. In the long term, around 1,200 Ivorian farmers and their families will benefit from the initiative as a result of increased and secure income.